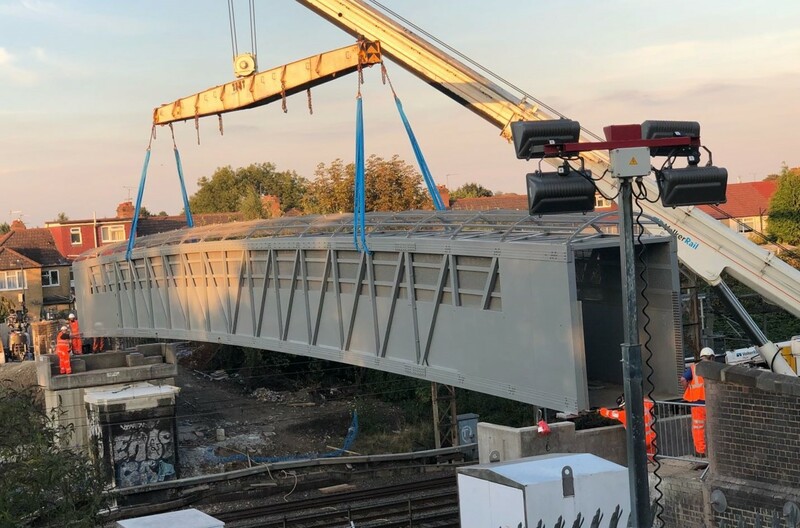 Story Contracting has successfully removed and replaced a wrought-iron footbridge over a railway line in Harrow, North West London. Story’s Rail team was asked to deliver the high-profile scheme at short notice after the new structure had been in storage at Heathrow Airport for over two years. The delivery team developed a strategy utilising a combination of different sized Kirow rail cranes to remove and install the structures over the six AC & DC lines at the site. The new 33.5 metre-span aluminium bridge, which was built by German company Gluck, was installed along with new Cill Units. 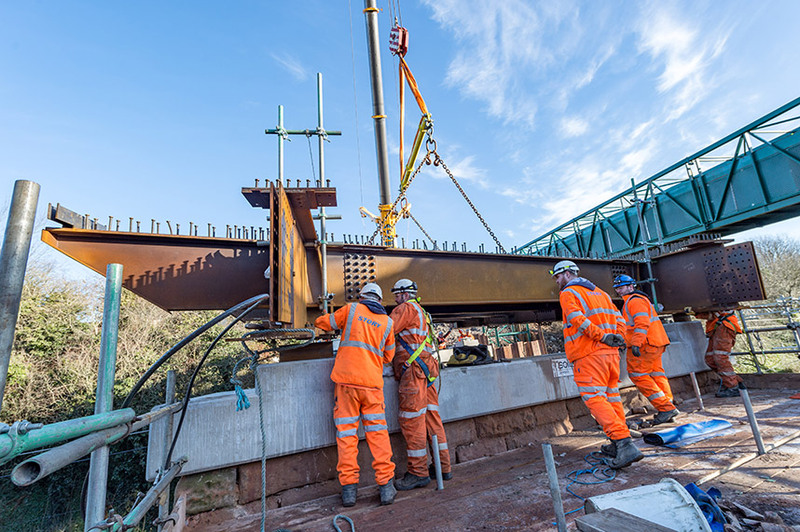 This work followed the removal of the old footbridge using a Kirow rail crane before concrete extensions to the abutments were constructed. Ian Purdham, Rail Director for Story Contracting, praised the team involved for delivering the £1.2m LEC1/45 bridge project. He said: “Once again we have picked up a job at short notice, a long way from home and have delivered for Network Rail.